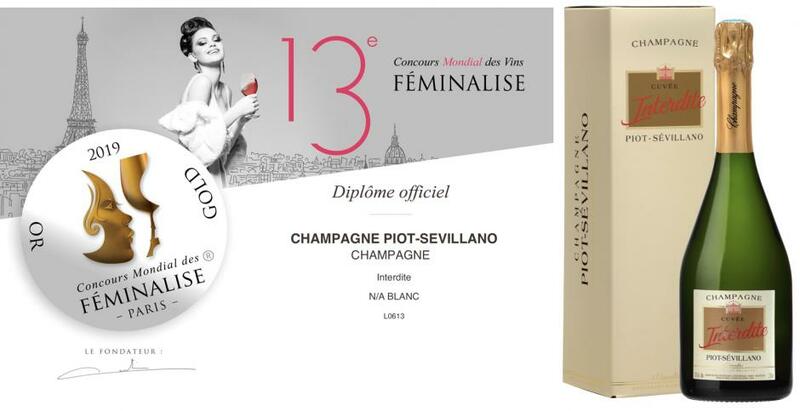 We are proud to share with you this news: our Cuvée Interdite got an amazing golden award from Feminalise. We invite you to taste or rediscover the exceptional champagne of our House: 50% chardonnay whose 15% aged in oak-barrel, 40% meunier and 10% pinot noir. Finally, a majority of chardonnay, a touch of barrel and a sharing emotion. Thanks to the women tasters and thank you for your trust.